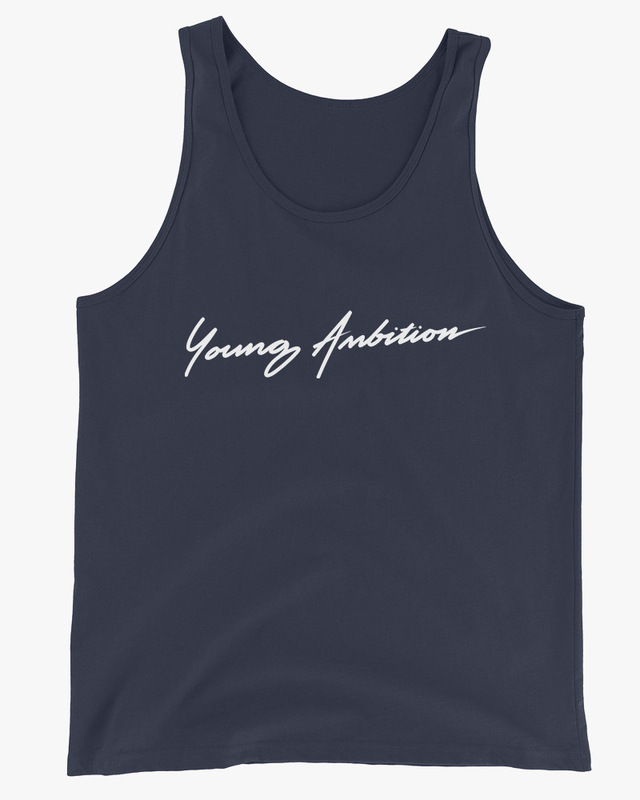 Look cool with our cotton tank top in Black, White, Red, Asphalt Grey or Navy Blue, with graphic print featuring our cursive “Young Ambition” script. 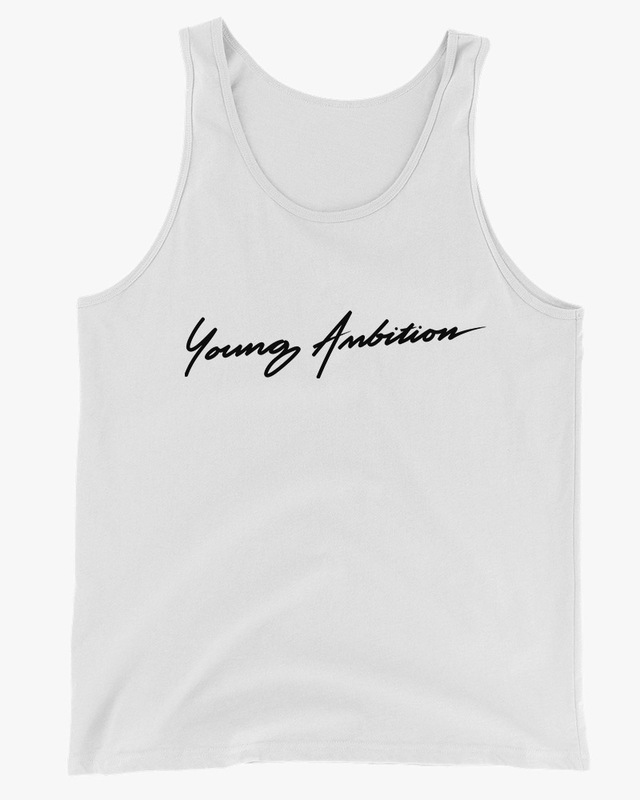 Take your pick and hustle. 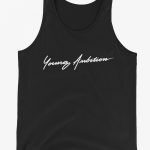 Dress up your denims with our cotton tank top in Black, White, Red, Navy Blue or Asphalt Grey—whichever suits your style. 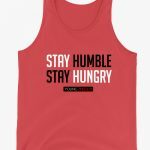 The grind only respects those who hustle when nobody's watching. Respect the grind, it respects you back.